Sweaty and smelly I stacked my now filthy duffle bag on the rack and hoped whoever was seated next to me on the train from Ollantaytambo to Machu Picchu didn’t have much of a sense of smell. Two hours away in the touristy city of Aguas Calientes a hot shower and real bed were waiting. I’d heard good things about the mesmerising train ride through the Andes, but in all honesty, I was more about the destination (said shower) than the journey right now. My three-day relationship with baby wipes was coming to an end. 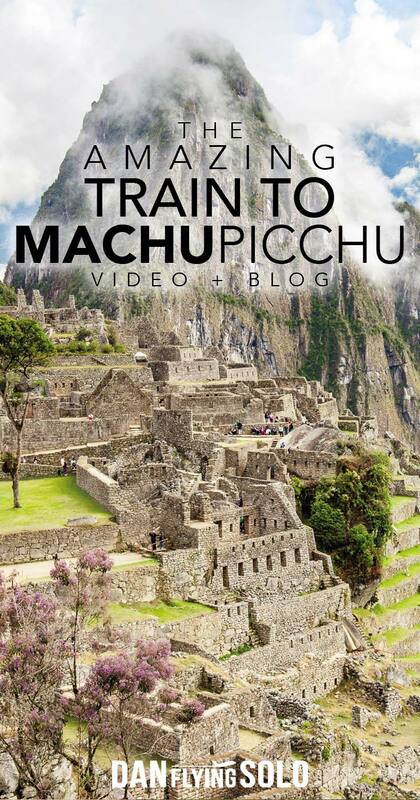 Take a scenic tour from Ollantaytambo to Machu Picchu on board Peru rail. 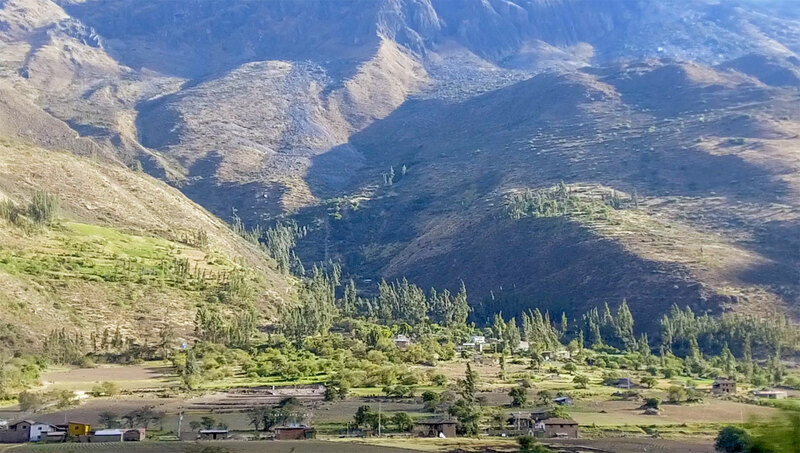 This magical trip through The Sacred Valley is not to be missed. 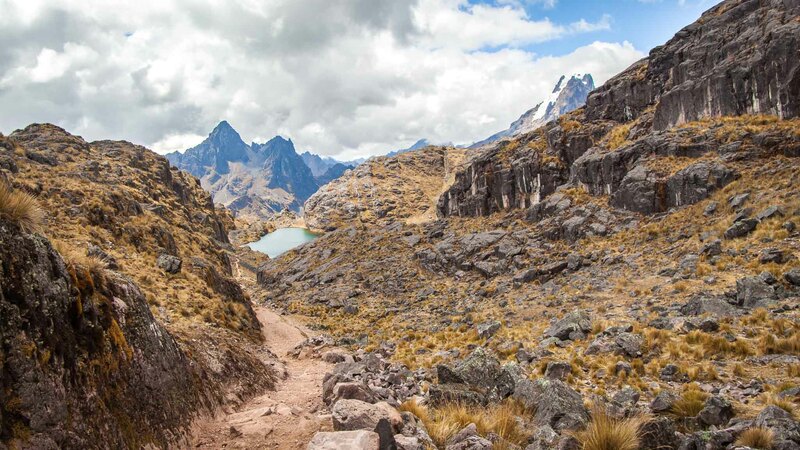 The Lares Trek had been magical, from sleeping under the milky way to sharing Coca leaves, and later learning they are the raw ingredient for cocaine, with locals. The lesser taken hike around the Cusco region of Peru had far surpassed my expectations, and I couldn’t believe just how few other tourists we had encountered on the route. At over 30km long and peaking at a 4800-metre altitude it had been a rewarding challenge yet right then, as much as I am a sucker for beautiful train rides, my mind was more focused on being clean than being amazed. 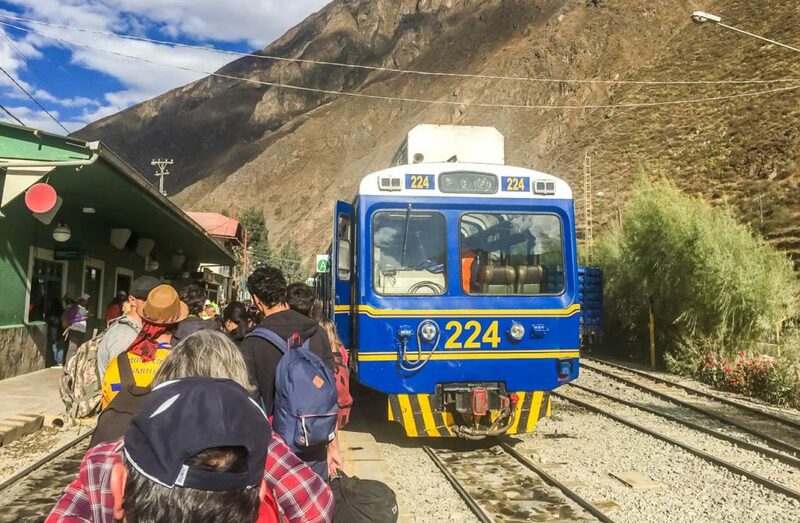 Within a few minutes of pulling out of Ollantaytambo station, however, that had all changed. After spending the past few days admiring rugged landscapes, clear lakes and snow topped mountains of the Andes out of breath due to the altitude, now being able to sit back in comfort and marvel out the window all seemed too easy. I spared a thought for the ladies I had met earlier in the week who were now on their final day of the Inca Trail; they were going to arrive at Machu Picchu for sunrise tomorrow feeling as filthy and tired as I was at this moment. To be honest, while I had always thought I would arrive at Machu Picchu on the same route, taking the train with the chance to rest up before exploring the lost city suddenly seemed like a no brainer. Having read the things to know before doing the Inca Trail I was aware of just how tough that hike is and even though it’s ‘cheating’ coming by train, my leg cramps were not feeling guilty. The train journey from Ollantaytambo to Machu Picchu takes just under two hours, winding along the sometimes single track route. Clinging to the valley river for most of the voyage, the views from the window are sublime. Crashing white rapids meander aggressively down the river before turning a bend and settling into a calmer trickle. Stone houses sit against the dominating backdrop of the Andes, sometimes complete with a fresh snow dump at the top. Inside the tourist class carriage is just as impressive, with rooftop windows, locally crafted table clothes and the chance to enjoy a sweet local drink made of purple corn, Chicha Morada, you are well looked after. Even if you get the aisle seat, you will still have spectacular views thanks to the huge glass windows. It is possible to take an extended service from Cusco although this doesn’t depart from the centre of the city. Chances are you will be visiting the charming village of Ollantaytambo to admire its archaeological site anyway. Taking the train from Ollantaytambo to Machu Picchu as a pose from Cusco will also help decrease the costs. With a single from Ollantaytambo coming in around $50 minimum this isn’t a cheap journey, the other reason any group tour in this part of the world may seem expensive. With different types of trains, some including traditional entertainment, others more basic, if you are travelling DIY or solo, it’s advisable to select the dates and service that most suit your budget. As I was going on the G Adventures Lares Trek tour, all of the ticketings had been taken care of for me. Booking in advance for trains and especially the Inca Trail is essential to ensure your travel dates are possible. Is it worth the price? I’d say so. I only spent a few dollars to take my favourite train journey in the world, the Kandy to Ella train in Sri Lanka, but with Machu Picchu raking up around a million visitors a year it’s a simple case of supply and demand. 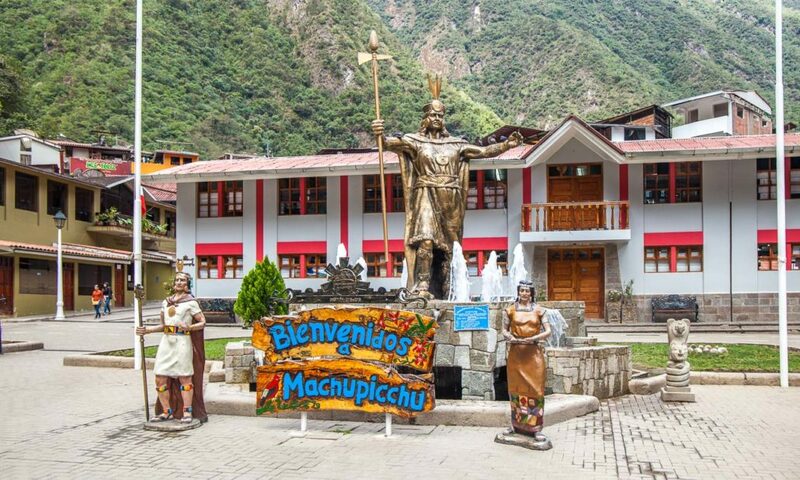 After snaking your way slowly through the breathtaking scenery, you’ll arrive into Aguas Calientes, a town built at the base of the Machu Picchu mountain and a complete tourist overload after the remoteness of hiking in the hills. Buses shuttle visitors up to the entrance of Machu Picchu, a different ticket to the train. It is around a 45-minute hike from the town to the entrance. The queue for the bus at certain times of year and day is hectic. We started waiting around 5 am (the first bus is at 5.30am), and after two hours we finally got onboard. If it hadn’t been a cloudy and rainy morning hiding the sunrise, I would have gone on foot. 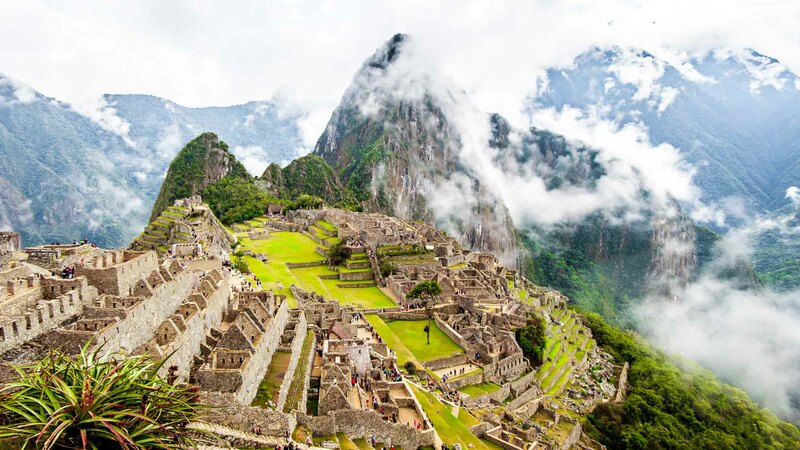 The rules of visiting Machu Picchu have recently changed. Instead of being allowed the whole day to marvel, ticketing is separated into a morning or afternoon session. I expected to be under whelmed with this part of the tour, but Machu Picchu and the train ride both surpassed my expectations, I guess some places truly deserve all their hype. 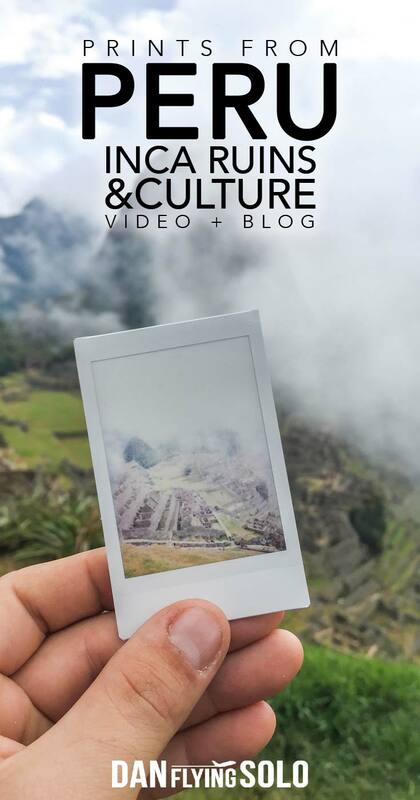 Getting the ‘Instagram famous’ shot of Machu Picchu and learning the Inca history from our awesome guide Rudy was a perfect ending to my short but sweet week long adventure in the Cusco region. Whether you decide to train, run, hike or magically sky dive into Machu Picchu it doesn’t matter, the main thing is you don’t madly miss this modern world wonder thinking it’s just too touristy. Yes, it is ‘too’ touristy. 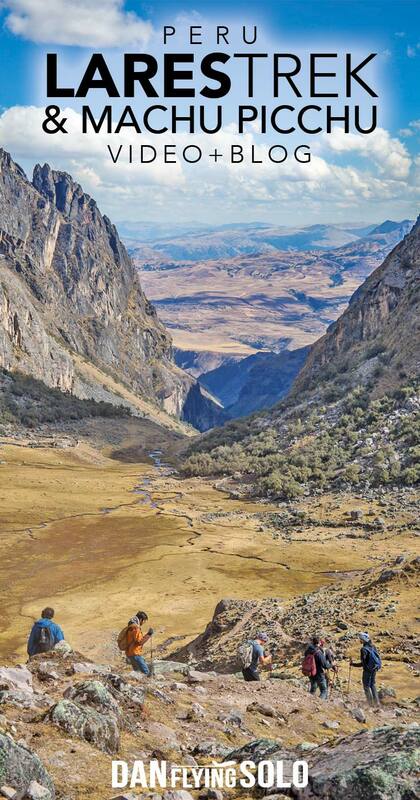 Yes, it’s one of the most Instagrammed places in Peru. But trust me, it is with good reason. Just leave the selfie sticks at home, they are thankfully banned. OMG it’s one of my dream/goal to go there! 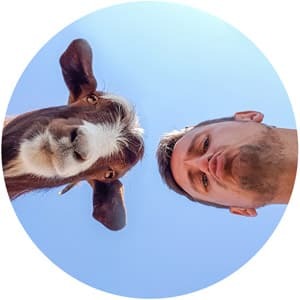 I am also a world traveler (discover my blog here: http://mcfollowsthesun.com, I am a new comer) and I will definitely rely on this article when I do my Latin America road trip! I never thought about train to be honest. Thanks. Hope you get to make there some time soon. The train is well worth it!